EAL operates at the heart of the engineering sector, offering engineering and manufacturing qualifications that are precisely tuned to meet employer needs and drive improvements in performance and productivity. Businesses can use our qualifications in engineering and manufacturing to improve efficiency, achieve cost and energy savings, boost staff retention and demonstrate the quality of their workforce. For learners and apprentices, the kudos of an EAL qualification provides a platform to gain employment and build a successful career in industry. For those already working in engineering, EAL qualifications offer a chance to progress their careers and gain recognition at work. One of the benefits that may result from an EAL engineering qualification is EngTech status. If you want to know more, and see if you might qualify, please see the details below. The EngTech title is awarded by engineering bodies that have been approved by the Engineering Council. It's a professional title after an engineering technician's name that matches UK Standard for Professional Engineering Competence (UK-SPEC). This means that EngTech is an independently evaluated, internationally recognised mark of an engineering technician's experience, skills and competence, as well as their commitment to their profession that helps them stand-out from their peers. Engineering technicians are trained specialists with practical knowledge and the ability to solve engineering problems. They hold a wealth of roles in the engineering industry, particularly those responsible for the hands-on delivery of projects. That could mean design, development and assembly of either individual engineering elements or whole projects. It could also mean operation or maintenance of equipment or services on-site, as well as technical and supervisory responsibility. 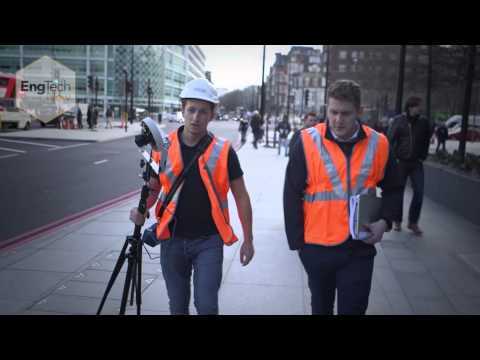 Engineering technicians deliver the details that matter, which is why it's so important that they can show their expertise, knowledge and competence with the EngTech title. EngTech is an independently measured assessment and mark of an engineering technician's qualification, skills, competence, commitment and professionalism. This means that carrying the EngTech title enhances an individual's status with colleagues and either current or future employers. EngTech status works hand-in-hand with membership of a professional engineering body, giving individuals access to learning, networking and career development resources. It also provides a clear first step on the route to qualifications such as Incorporated Engineer (IEng) and Chartered Engineer (CEng). Ensuring that all suitable engineers and technicians are EngTech registered – and publicising this fact – is proof of a company's commitment to matching industry standards, as well as maintaining their employee's knowledge and development. This helps companies to recruit and develop the best talent, while a more knowledgeable, motivated and loyal workforce – one that matches the rigorous industry standards for quality and safety – is a great selling point when bidding for new business. 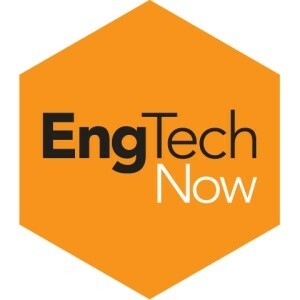 EngTechNow is a new campaign to increase awareness and use of the professional EngTech title. Its core aim is to create 100,000 new professionally registered engineering technicians by 2020, filling a skills gap within the engineering industry that is vital to the growth of the UK economy. EngTechNow is backed by the UK government, and funded by the Gatsby Foundation, with support from the Engineering Council. It is being run in conjunction with the full breadth of professional engineering institutions, including the three largest – the Institution of Civil Engineers (ICE), the Institution of Engineering and Technology (IET) and the Institution of Mechanical Engineers (IMechE). Who is eligible for EngTech? EngTech registration is open to anyone who can demonstrate the required professional competencies to UK-SPEC standards. The relevant professional institution for your engineering sector can advise you what these are. Typically, EngTech-eligible technicians will have completed engineering apprenticeships and have recent qualifications and on-the-job training. Technicians who have been working within the industry for many years can also demonstrate their knowledge and skills through the work that they've done.